Space Exploration Technologies Corporation (SpaceX) now intends to launch its next International Space Station (ISS) re-supply mission (CRS-5), from Cape Canaveral Air Force Station’s (CCAFS) Launch Complex 40 (SLC-40), no earlier than (NET) Saturday, Jan. 10, at 4:47 a.m. (EST). As of this writing, weather conditions at the launch site provide an 80 percent chance of being favorable for liftoff. The Jan. 10 launch attempt follows a Jan. 6 launch scrub attributed to a problem with the Falcon 9 v1.1 rocket’s second stage thrust vector control system. This latest launch delay provided SpaceFlight Insider with an opportunity to take a closer look at what many consider to be the most interesting aspect of the CRS-5 mission – a first-ever attempt by SpaceX to land a Falcon 9 first stage on a solid surface, enabling recovery and possible re-use. When SpaceFlight Insider last reported on SpaceX’s intentions to land and recover it’s Falcon 9 first stage, SpaceX’s CEO, Elon Musk, had just revealed that a landing “barge” for the Falcon 9 first stage was being constructed in Louisiana. Since that time, more details have become available. A prior article appearing on SpaceFlight Insider detailed a Houston, Texas-based company’s, involvement in the ASDS project and SpaceX’s use of it’s Portable Dynamic Positioning System (PDPS). Koenigsmann declined to reveal the exact intended location of the ASDS during the CRS-5 landing attempt, but stated that it would be located a “couple of hundred miles out in the ocean,” and that the landing should take place approximately nine minutes after liftoff. Koenigsmann went on to explain that he didn’t “expect waves, unless they’re really large, to have any effect” on the landing attempt. Later in the day, on Jan. 5, Musk participated in a Reddit AMA in which he answered questions submitted, online, by the public. 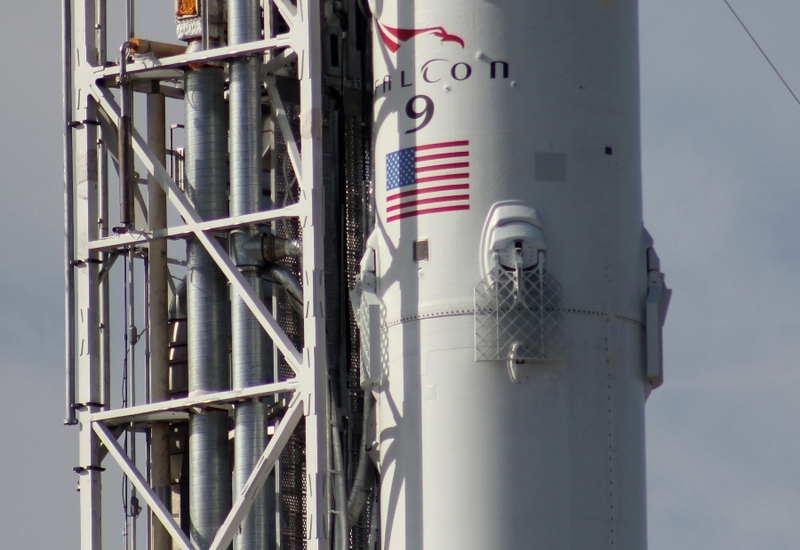 Musk went on to detail that Space X intended to “weld steel shoes over the landing feet [of the Falcon 9], as a precautionary measure,” to prevent the stage from falling over in the event of a successful landing. 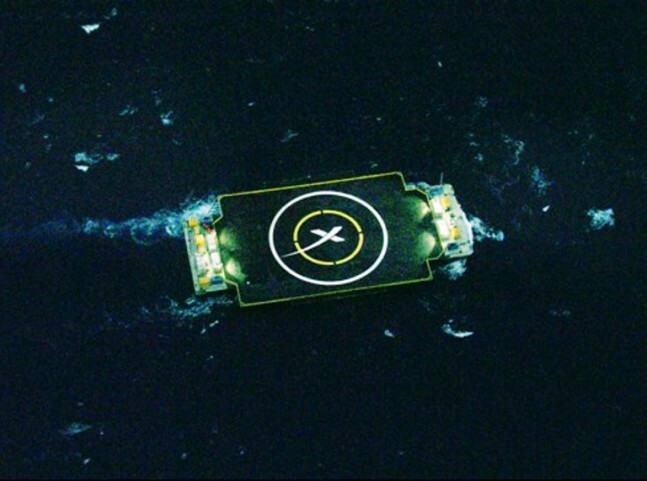 Despite the questionable odds of success, SpaceX is not conducting the landing test without having tested the concepts behind it. Using the Falcon 9 reusable test article, the NewSpace company has successfully completed several flights and landings with the craft – with only one failure occurring on April 22, 2014. Between the F9R flights and those carried out in MacGregor, Texas with the “Grasshopper” vertical takeoff / landing test craft – the company is, in essence, taking its efforts to the next stage. SpaceX has already demonstrated through both the F9R and Grasshopper that it can conduct pinpoint landings using a booster’s first stage. Stay tuned to SpaceFlight Insider for continuing coverage of SpaceX and its Jan. 10 launch and a landing attempt. Yep. That’s the SpaceX at it’s finest. Great article! Can’t wait to see the 1st stage landing. Anybody know if any other company has every tried something like this before? With the exception of glide landing like the shuttle of course. Very cool and can’t wait to see the results, whatever they are. There’s gotta be a first time for everything.